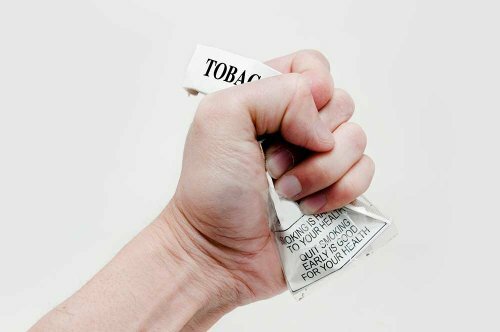 “It has taken a second FOI case and another two years to reveal that Australian taxpayers were only awarded half of the costs of defending Australia’s tobacco plain packaging laws against tobacco giant Philip Morris in March 2017. This shows yet again the unacceptable secrecy and lack of public accountability surrounding the Investor-State Dispute Settlement (ISDS) provisions in some trade agreements which allow foreign investors to sue governments over public health and other national laws,” AFTINET Convener Dr Patricia Ranald said today . “Even when governments win cases, it takes years and costs millions to defend them. Philip Morris, a US company, lost its case for compensation in Australia’s High Court. It shifted some assets to Hong Kong, claimed to be a Hong Kong company, and claimed hundreds of millions in compensation under an obscure Hong Kong-Australia investment agreement,” explained Dr Ranald. “It is outrageous that a global company has special legal rights to bypass a High Court decision and claim compensation in an international investment tribunal that has less transparency and accountability than our national legal system. These special privileges for foreign investors should not be included in any trade or investment agreement,” said Dr Ranald. “It took nearly five years for an international tribunal of investment lawyers to decide in 2015 that Philip Morris was not a Hong Kong company, and that the case was an abuse of process. The tribunal took another two years to award some legal and arbitration costs to Australia. But the total amount of costs, and the percentage awarded to Australia, were blacked out in the publication of the original costs decision,” said Dr Ranald. The first FOI case to reveal the costs resulted in the Australian government releasing figures which showed total legal costs of $39 million. The government then claimed that that the figure might include costs related to other tobacco plain packaging litigation (such as Australia’s defence in its case at the World Trade Organization and the earlier Australian High Court challenge). The government refused to reveal what percentage of the total costs had been awarded to Australia in the Philip Morris ISDS case,” said Dr Ranald. “The second FOI case, taken by a legal publication, to obtain the percentage of costs actually awarded in the ISDS case, has now revealed that Australia claimed a total of A$23,045,242.33 in legal fees for its defence, and 666,119.82 Euros in arbitration fees (A$532,530.35), but was awarded only half of these two amounts, a total of $11,788,936 million, ” said Dr Ranald. The PDF of full costs is attached.